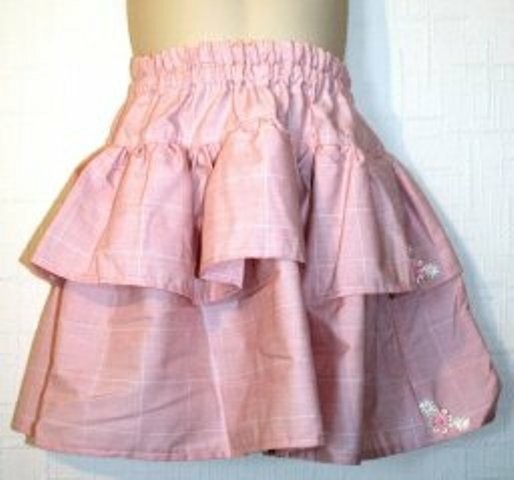 A lovely, hand made, girls summer skirt, made in 100% cotton. 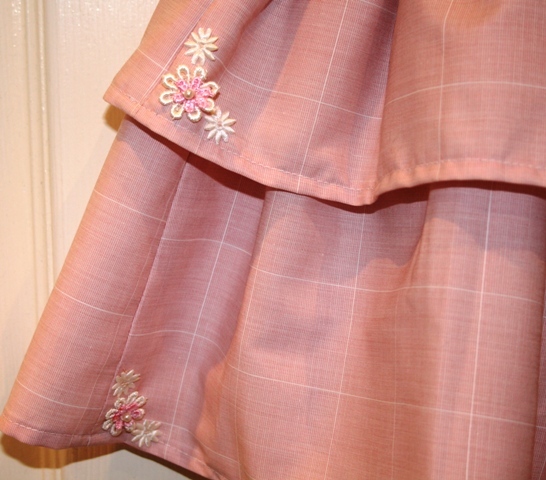 It has an elasticated waist, is a double frill skirt, with the added feature on flowers on the frills. In a pink cottton with a very thin white square pattern and comes with a free drawstring bag in matching fabric, just for fun. 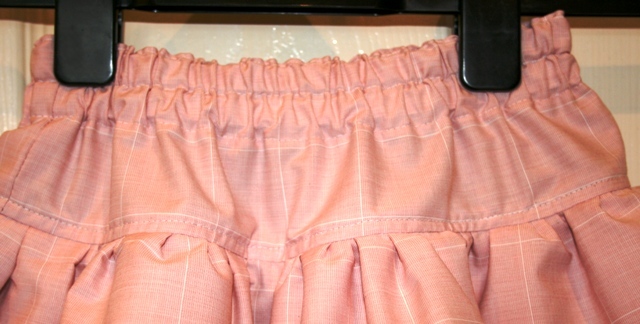 Any little girl will look very sweet in this skirt and is perfect for summer days and holidays. It is fuilly washable, but unfortunately will need an iron. Approx age of 4-5 years.